The BMZ/GIZ-funded Safe Food, Fair Food project supports the intensification of livestock production by improving the quality management of livestock products. It responds to the concern that small-scale producers will be prevented from marketing their products as standards are skyrocketing. The strategy adopted is adapting risk-based approaches that are the gold standard for food safety management in developed countries. Conventional food safety approaches focus on banning any product with germs or other hazards in it: this is bad news for small-scale farmers. New risk-based approaches try and find out if there really is a danger to human health and if so how big is it and what can be done about it. These have two great advantages. First, they shift policymaking from knee-jerk reactions on seeing open markets to an evidence-based approach. Structured analysis often shows that the risks of informally marketed food are not as high as they are perceived to be. For example, in urban East Africa where almost all consumers boil their milk before drinking it, the presence of germs in milk presents little risk. Moreover, when a sector gives a large amount of benefit to livelihoods and nutrition, a small amount of risk may be tolerable. The other advantage of risk-based approaches is they allow us to identify what are the points on the ‘farm to fork’ pathway where control is most useful. This often allows cheap and highly effective ways of making the food bought and sold by the poor safer. 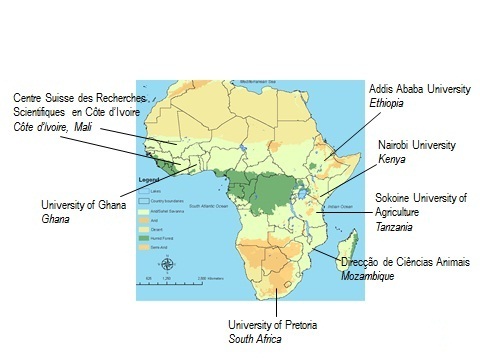 The first phase of the project (2008-11) built core capacity in risk-based methods through training and practical application in 24 proof-of-concept studies in eight countries in sub-Saharan Africa. In addition, over 50 food safety decision-makers from eight countries including key food safety experts and professionals from universities, food and drug authorities, public health departments, national agricultural research institutes and veterinary departments were trained in short-term courses and national workshops. The research teams in the different countries were linked through annual meetings and a website to stimulate exchange and co-learning. All these people will be the future champions of risk-based approaches. The achievements of the first phase of the project will be consolidated and expanded through addressing selected high-potential value chains and regional policy and education. Together, improved policy and practice will lead to tangible benefits for smallholders and other small-scale value chain actors, including poor consumers. Rapid assessment of food safety risks in four selected value chains using the tools validated in the first phase. Action research on priority food safety issues in these value chains to pilot and test best-bet interventions. Engagement with regional economic communities, the private sector and veterinary universities for a more enabling environment. Read a blog posting of the inception meeting for the second phase of the project held on 12-13 April 2012.